Freedom is your right. Even if you have been charged with a crime you don’t need to sit in jail until a court decides your fate. Your right to bail is protected in the Canadian Charter of Rights and Freedoms and cannot be unreasonably denied to you. After you have been arrested and charged you are entitled to a bail hearing, which is where bail is decided. This is a special appearance before a judge that is like a mini-trial. The prosecution will present their evidence for the charges as well as any concerns they have about bail being granted. The defence is also permitted to present evidence and demonstrate that, if bail is granted, the accused will follow the conditions. Bail conditions are decided on a case by case basis and can include terms like not consuming alcohol or not contacting the plaintiff. They can even include checking in with police on a regular basis or enforcing a curfew. These hearings must happen within 24 hours of the arrest. Our lawyers are skilled at getting successful results for you at every stage of your case. When it comes to securing bail, we are experts at obtaining your release under reasonable terms that cause minimal impact on your liberty. Because bail hearings can impact any upcoming trials for your case they need an expert hand to ensure they go well. 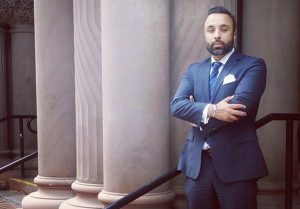 For more information on bail, conditions or your situation contact Jag Virk Law Firm. Our lines are open 24 hours, every day of the week.